Hyundai had green-lighted its pick-up truck for the US-market, and now, according to the latest words of Hyundai’s new Chief Design Officer, it will arrive as soon as possible, but that means won’t be before 2020. Autocar spoke to Luc Donckerwolke, new Chief Design Officer at the Hyundai Motor Group , who said “You’ve seen the [Santa Cruz] pick-up from the 2015 Detroit show, that car is under development at Hyundai”. When asked how soon it will arrive, Donckerwolke said “as soon as possible. From my side [design] it is finished, the process to put it into production is now under way”. Also Hyundai Motor and its affiliates are in the process of updating the lines and supply lines of the Alabama plant, as the company has decided to produce Hyundai’s next generation Tucson (codenamed NX4) earlier 2020, while pick-up derivative launch for late 2020. More than the 60 percent of the US auto market sales have chose a SUV, so that it’s why they will be producing the Tucson at its Alabama plant instead of the anticipated sales of Elantra and Sonata are decreasing. Currently, the Alabama plant produces only three models – the Santa Fe, the Sonata, and the Elantra. 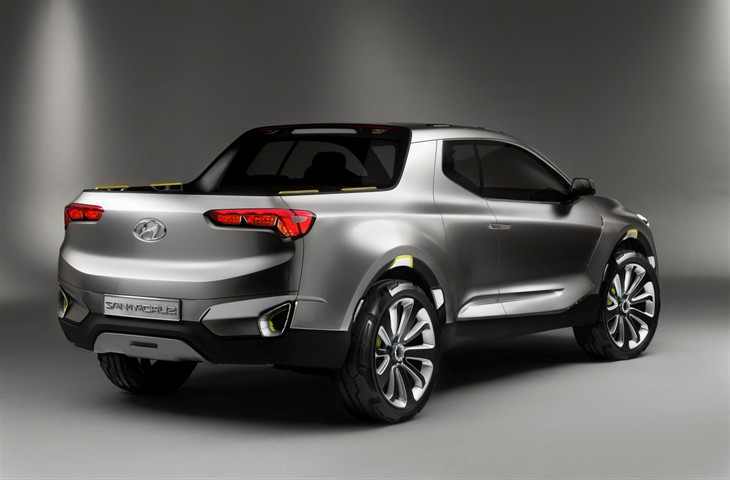 Hyundai has mentioned the possibility of a medium-size pickup truck several times. They finally decided to build a pick-up truck based on the next-generation Tucson (NX4) platform, that will be available for the next-gen Tucson & Sportage with a longer wheelbase and will able to have a pick-up from the beginning. 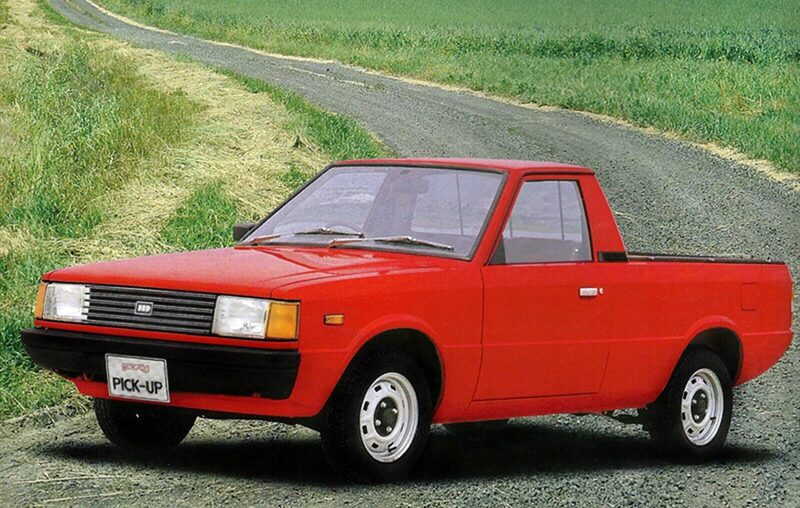 The pick up is set to be named as Santa Cruz due to give it a higher image (directly from the Santa Fe). In terms of size, this new pick up will compete against Chevrolet Colorado or Toyota Tacoma. The next generation Tucson is set to have the all-new Theta3 2.5-liter engine with an 8-speed automatic transmission. Hyundai plans to use the Theta3 N/A & Turbo 2.5-lite engine as its base engine in the US market. 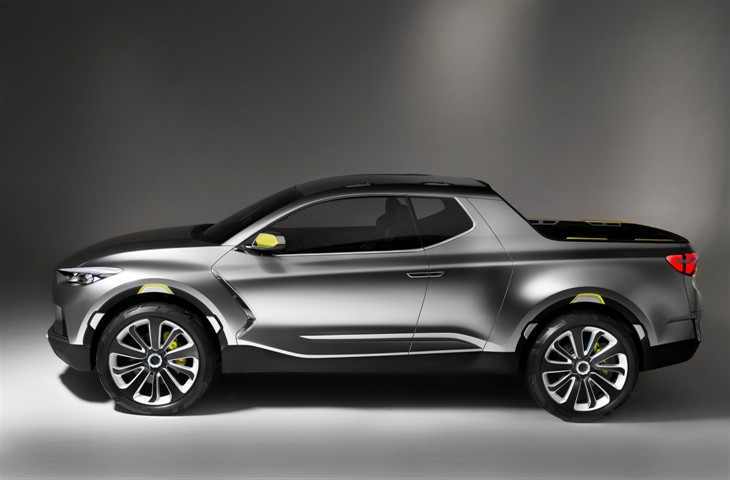 Hyundai’s first pickup truck is planned to be produced in the United States in May 2021, and its introduction into other markets like South Korea has not yet been decided.